When people talk about Samsung and what went down at MWC, they’ll inevitably talk about Zuckerberg stealing the limelight from the Galaxy S7 launch or the Gear S60 camera that’ll let you make your own home VR movies. 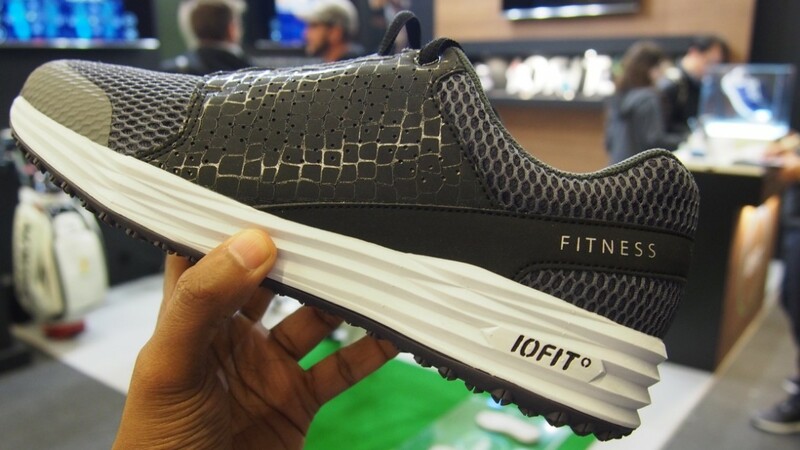 But maybe there should be a few talking about the Iofit smart balance shoes that’s being developed by the first spin-off startup from Samsung. Salted Venture’s idea was selected by the Korean company’s C-Lab as an idea with high potential and is based around a posture analysis algorithm the startup been working on for a year. That’s the same experimental lab that dreamt up a smart belt, a Gear VR controller and a smart watch strap at CES earlier this year. The connected shoe is available in two ranges, one for golfers and the other for gym lovers. Both have the same aim, to help you train better delivering data in real time. Each of the shoes are embedded with pressure sensors in the outsole and can measure force in different areas of the foot. This can help determine balance and weight shirt, which are essential factors for fitness and golf particularly. Salted Venture has designed the shoes itself, although it’s looking to partner with footwear companies to integrate the tech into their own ranges. For a first effort though, they actually look pretty good. The fitness shoe reminded me of a pretty standard Nike running shoe, with plenty of cushioning and a nice mesh upper. I tried a pair on and they are comfortable too. It’s impossible to spot the sensors, and because they are on the outsole, they don’t compromise the fit. It’s a similar story with the golf shoes, where there’s a bit more variety in terms of look and colour options. The other piece of the connected puzzle is the Iofit companion app. It’s here where you can see the data collected from under the feet. You can see the centre of weight in a pressure map. and front/back weight shift that fluctuates or remains steady depending on how good or bad your form is. It seemed pretty responsive as I put more pressure on the heel or at the top of my foot and vice versa. 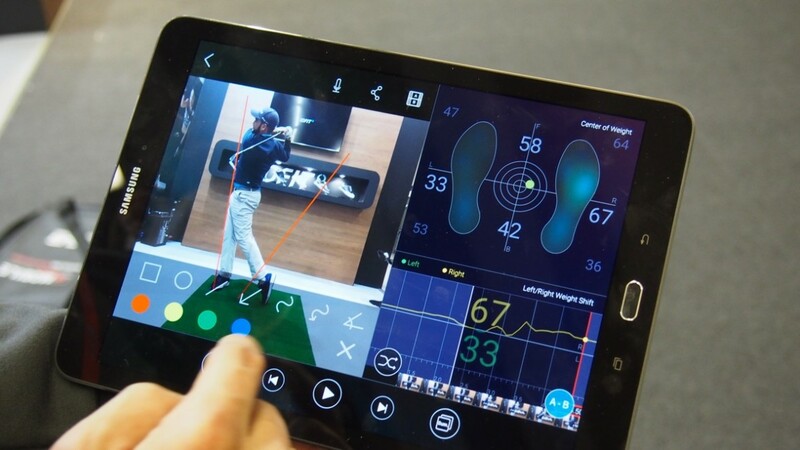 For golfers, there’s going to be a big emphasis on video analysis. You can record a swing, playing that video in slow motion, side-by-side with a previous video and even run them simultaneously. You can also trim the footage to hone into a particular part of your technique and draw on the videos to identify the key areas of concern. I was shown a video of a professional golfer failing to shift the force from his back foot effectively during his swing to get the most from his action. I was also shown the fitness app in action as well comparing videos of a good squat and a bad squat. Quite quickly you can identify the fluctuation in the front/back weight shift to determine the badly formed squat. What becomes abundantly clear here though is that this doesn’t feel like a shoe designed for amateurs and that’s pretty much what the Salted Venture tells me. This is a smart shoe for coaches and individuals who know how to interpret the data. Salted Venture openly admit they are not experts in fitness but hope the people who recognise the important of measuring force from the foot will get the most from it. Planned features like recommendation videos from fitness trainers and professional golfers based on issues recorded in your own videos, could bridge that gap, but this definitely feels like ones for the pros right now. Salted Venture is getting ready to beta test the shoes in fitness centres and will be handing them out to golfers with a crowdfunding campaign pencilled in for July or August this year. It has all the makings of a great wearable. There’s nothing like it out there where connected shoes from the likes of Under Armour and Xiaomi have focused on aiding runners only. 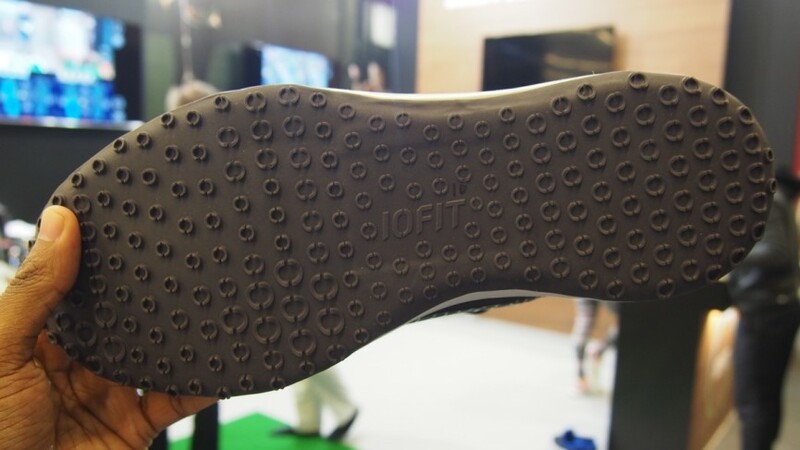 It’s expected to be priced at around the $200-250 mark and if you’re serious about improving your golf or fitness, you might find the Iofit smart shoes, well, a good fit.